Et voila! The fifth installment of George R. R. Martin's A Song of Fire and Ice series is here. 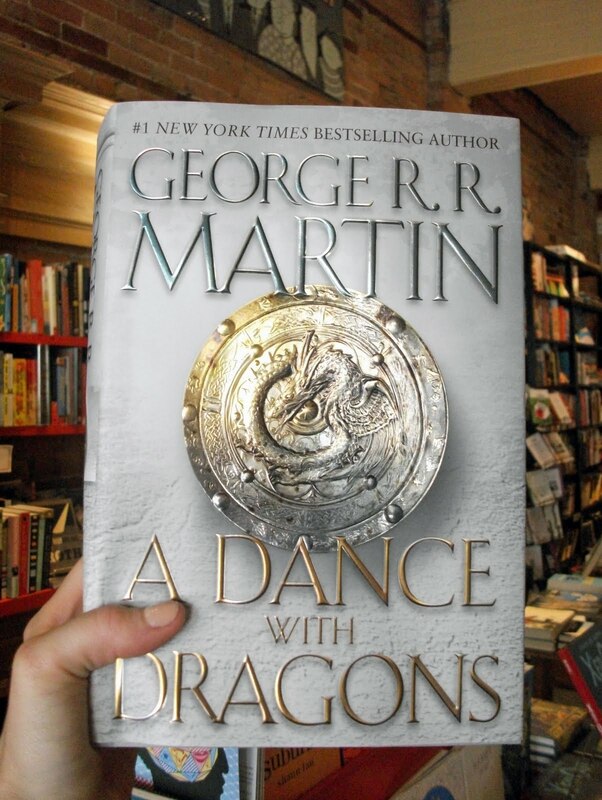 It's called A Dance with Dragons and it's long (1040 pages) and shiny! We also stock the first four books in the medieval fantasy series (which, for those of you who don't know, was recently adapted into an HBO television series called Game of Thrones). Epic fun not for all ages.